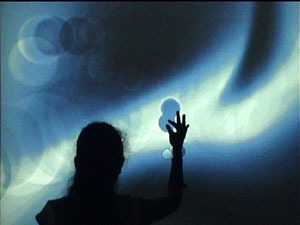 interactive video installation based on 3d-animation, realtime generated graphics and movement detection and / or sound controlling. The motions of the visitors release virtual water waves above a moving organic-like shape. 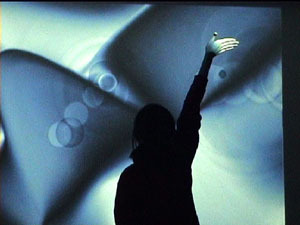 Optional the shape-animation can be shown purely as an animated video sculpture.